Prior to the European elections this past May, the alarm had been raised that the voter registration procedures throughout the European Union were convoluted, difficult to navigate for those trained, and the sheer number clouded most organisations from providing aid to citizens. While the EU stresses democratic legitimacy of voting, and encourages mobility amongst citizens, the hurdles, which citizens residing in a member state other than their origin had to overcome, were simply ridiculous with unequal voting rights, directly contradicting basic European principles. With over 112 scenarios for voter registration in European elections and only one known organisation who took on the challenge to sort through these scenarios, citizens in the European Union who were exercising any right to freedom of movement in May were often disenfranchised from having their voice heard in the largest democratic exercise in the world. As predicted prior to the election, these convoluted voter registration procedures were the direct cause of issues that inevitably led to European citizens being upset, and discouraged after their attempt to vote resulted in defamatory remarks and not being allowed a vote. These sentiments are not something European politicians want to see at a time when scepticism of the European project is on the rise. In this past election, politicians and others in the field highlighted 2014 proceedings as being more democratic than ever before, but how can this really be when many member states are pushing aside or were unaware of voter registration problems ? Most assuredly, the issue of citizen disenfranchisement in the European elections has not received much attention at the EU level, though these problems occurred in multiple member states. In the United Kingdom, Europeans are continuing to resist this complacency, pushing for this problem to be addressed at every level possible. It is through these efforts that the fight for mobile citizens to maintain their democratic rights that hopefully politicians, both in the member states and the European level, will take heed of more citizen dissatisfaction than the mere increase in Eurosceptic election results. Prior to the European Elections, citizens from many European states were voicing dissatisfaction over the voting processes; most notably those from Czech Republic, Italy, Slovakia, Malta, Ireland, Greece, Denmark, Belgium and Cyprus. In such circumstances, it was known and published by organisations, such as European Citizens Abroad that mobile citizens, whether in or out of the EU, would encounter problems. While the types of issues encountered by citizens in the United Kingdom were predicted, it had been thought that these issues would not be as dire for EU citizens residing in the UK as for EU citizens residing elsewhere. Yet on Election Day, complaints were pouring in from across the United Kingdom, concerning not having received proper forms from local electoral offices, station workers not knowing ‘how to handle’ EU citizens, and blatantly defamatory remarks refusing EU citizens, who call the United Kingdom home, the right to vote in European Elections. While most disenfranchised voters in other member states quickly became quiet or complacent after initial objections, many of the disenfranchised voters in the UK have become enraged, continually raising their votes so that almost two months later politicians at the UK and EU level are investigating what occurred as well as, at least verbally, voicing their concerns. Yet, words in politics are simply semantics, only gaining significance in the actions they produce. While any initial anger about the, at least, 112 voting procedures in existence has largely quelled, select citizen backed organisations are striving to ensure that we do not forget about those votes lost to a problematic system of registration. European Citizens Abroad, which received high patronage of European Parliament for their campaign drawing attention to, and publishing the complex voting procedures, has continued on their quest for discussions as well as solutions for all European member states that encountered voting issues. New Europeans, which is currently the organisation behind the #VoteDenied campaign, is leading the UK charge to ensure that these problems are solved for the next European election in the United Kingdom. 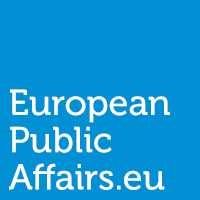 As a member state specific organisation, New Europeans is in a unique position of collecting evidence for the extent of disenfranchisement, as well as conveying the frustrated sentiments of EU citizens to the Commission level through meetings and issuance of their recommendations for concrete actions to solve this problem. These recommendations are extremely reasonable, stressing that the voting issues faced by EU citizens in the 2014 European elections be thoroughly investigated, urges UK simplification of the two-stage process which had not been in existence in 2009, as well as increased information in circulation concerning registration and casting a vote. The United Kingdom, known recently for a rise in Euroscepticism, and anti-EU remarks is also home to groups of individuals who are part of the few pursuing solutions for European election based issues, the principle of which could be cross-applied to other member states. 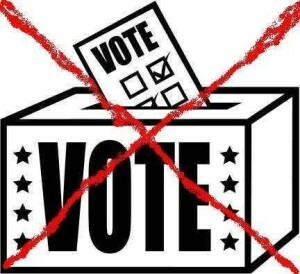 Those who were unable to vote in the 2014 European Elections due to the UK #VoteDenied, or those of us who were unable to vote due to other member state specific voting rules, should be encouraged by efforts in the United Kingdom and raise our own voices without fear. While the number of disenfranchised citizens who have formally lodged complaints, at least in the UK where it is being collected, is far exceeding initial estimates, it is now undeniable that there is something rotten in the European Electoral processes and not just in the United Kingdom, having occurred throughout Europe in May taking a variety of forms. Not only were the democratic rights of citizens compromised, but also with this disenfranchised group consisting of the largest pro-EU demographic, which was statistically most likely to encounter voter registration problems, it no longer is a surprise that more Eurosceptic or isolationist ballots were cast in this election than ever before. Hopefully, the 2014 European elections will serve as a wakeup call for both Member States and the European Union as a whole concerning the widespread voting process issues. I remember an article you wrote on this issue in January, and then another one around April. It is sad that such problems were found but largely ignored by the ‘powers that be’, and now that they were so openly an issue people are trying to get on your bandwagon, when they really should be looking to you for pursuing this. Thanks in large part to your revelations earlier in the year, this issue has flagged up in the mind of people who know well thought out work when they see it and hopefully it will be addressed. While I am all for the rights of member states and particularly understand many of the member state desires to maintain control of voting, for European elections specifically they seems utterly ridiculous since that just adds to the discouraging sentiment that makes the power distance seem insurmountable leading to more widespread Euroscepticism. Bravo to you young lady. Keep up the good work for our society! Cheers!! What is surely needed is an improvement of the relationship between the electorate (existing or potential) and the political entourage. One of ‘ an honourable rapport’. As a British disenfranchised citizen. with no vote for representation in any national government I wait to hear a politician ask me ‘what are your needs as a British Citizen? As a grassroots ambassador of your nation? What do you require of us? One hopes that politicians will look towards the citizens worldwide and reach out a friendly hand that offers a feeling of mutual help and comradeship. One hopes for a realisation that a Nation comprises the citizens – not a physical land mass. Another thought that comes to me on reading the article above is -Do such thoughts as expressed by the author ever reach the computers – the desks -and read by those who have the power to bring about change? Dear Brian, The author of this piece is actually involved with the current government petitioning by citizens groups for reform of voting structures. Though her particular concentration, at least what I have seen her speak professionally on, is the European elections – – I very much agree with you that most voting structures EU wide need to be re-examined since now it is such multilevel governance and voting structures. Just wanted to assure you that this author is one of the few trying to push this issue EU wide.